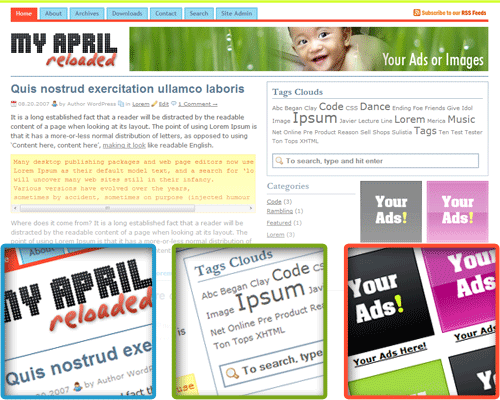 MyApril Reloaded is the successor and the 3 Columns version of my second (MyApril) themes. And of course this is Free WordPress Themes. I made some changes on MyApril and ported to 3 columns version.